In her penultimate year as Artistic Director of the Portland Chamber Music, Jennifer Elowitch continues to confirm her gift for imaginative and varied programming. Thursday began the final weekend of concerts for this year, which will, somewhat unusually for this venue, feature vocal works, abetted by the well-known modern- and new-music specialist, soprano Tony Arnold. 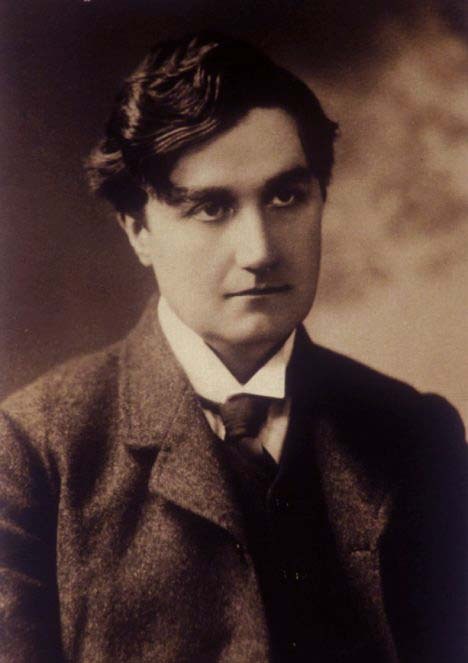 But for Elowitch the imagination doesn’t stop with presenting new or newer materials, it extends to finding hidden gems from earlier periods and even well-known composers—thus the opener, Ralph Vaughan Williams seldom heard Phantasy Quintet (1912) for “viola” string quintet. RVW’s chamber oeuvre is not large, and this item owes its existence, and the antiquated spelling of its title, to Walter Willson Cobbett, whose many services to chamber music included establishing a competition, first held in 1905, for compositions styled “phantasy” in keeping with 16th– and 17th– century traditions, that featured varying moods and tempi. Unusually, Cobbett expressly requested RVW to submit something—perhaps thinking that the 1909 hit Fantasia on a Theme of Thomas Tallis made him a natural for the challenge. RVW’s quintet sets itself somewhat apart from other competition entrants, who ranged from Bax and Bridge to Goossens and Britten, by confining itself to a single melodic idea treated variously in four sections that roughly correspond to movements, with a prelude, scherzo, sarabande and burlesque. The musical style is just what you’d expect from middle period RVW, with a pentatonic folk-like tune, lush string sonority and even lusher updated faux-modal harmony, all drawn from the same inspirational well as Tallis and The Lark Ascending. Violinists David McCarroll and Elowitch, violists Carol Rodland and Dov Scheindlin, and cellist Susannah Chapman, luxuriated in this tonal evocation of Old Blighty, and also continued the PCMF’s winning streak of superior ensemble cohesion and single-mindedness that belies the ad-hoc nature of their collaboration. Rodland’s and McCarroll’s solos in the Prelude were sweet and mellow. The group invested the lively yet homey Scherzo with a languid vigor; the Alla Sarabanda came right out of the English pastoral playbook: the muted violins and violas, and mute cello, conveyed a dreamy, faraway enchantment. In the Burlesca Chapman’s goofy march segued to rich counterpoint and thematic apotheosis before Rodland reprised the gentle opening to set up a doughty finish. Australian composer Brett Dean’s note for String Quartet No. 2, And Once I Played Ophelia (2013) seemed ambivalent about its genre: despite its title, he refers to it as a suite. It’s in five movements or discrete sections and is scored for soprano and string quartet, setting texts from Hamlet spoken to, by, and about Ophelia, so it functions as a song cycle. One suspects Dean was thinking of Schoenberg’s String Quartet No. 2, which has a finale with soprano, but that was mostly instrumental. It’s probably too late in history to plead for truth in advertising in musical nomenclature, but it did not really seem much like a string quartet in structure or function. On the bright side, Dean and his text editor Matthew Jocelyn present Ophelia as Tom Stoppard did Rosencrantz and Guildenstern, as an active agent in the drama, who is figuratively as well as literally drowned by the weight of her filial duty, the crumbling of her romance with Hamlet, and his apparent descent into madness. Her suicide, in that context, constitutes a final rebellion. Well, that’s one way to look at it, and Dean and Jocelyn jump through hoops to present it thus. Dean sets the texts, and Arnold vividly dramatized them, in ways that often undermine their “natural” sense, in a neo-Expressionist fashion bespeaking much psychological baggage. In aid of this mission Dean calls for extended techniques—shouting, Sprechstimme, humming, gurgling and vocalise in the voice, and for the strings slow glisses, slides, harmonics, and bowing up and down rather than across the strings—and accompanies the singer with sagging slides and other musical indications of Ophelia’s mental collapse. The upside also includes the riveting performances, not only by Arnold but by the fearsomely fierce and solidly together strings, namely violinists Harumi Rhodes and Katherine Fong, Scheindlin, and cellist Peter Stumpf (who introduced it from the stage and illustrated the novel bowing it requiered). It yielded several “wow” moments: the Adès-like spitting out of Hamlet’s “Get thee to a nunnery” speech in the first movement; the near-silent noodling of the strings to open the second and the humming and vocalise technique that morph into the word “woe” in the middle of the movement; the plunging cello against rising vocal line in the fourth, and its tender cello postscript by way of requiem. There is, alas, a downside, and that is fundamentally the work itself, which does not fully carry its burden of persuasion for the interpretive conceit. On a more granular level, some details rankled. Setting gentle words as vituperation is, well, just willful, and the many variants on the sad-sack slides, not an especially novel idea, get old pretty fast. Finally, the words “good night” at the beginning of the last movement were set so high that not even an artist of Arnold’s caliber could make them intelligible; the vowels are just wrong for that treatment (when repeated at a lower pitch elsewhere in the movement, it was fine). So, color us less than fully on board with the music, though full of admiration for the work of the players. Clarinetist Todd Palmer joined Stumpf and Diane Walsh for the ever-popular Brahms Trio in A Minor for clarinet, cello and piano, op. 114 (1891. About this familiar piece we suggest the good summary here). The performance was really excellent: Palmer has proven himself time and again an artist of unmatched clarity and suavity of tone and expression—he leapt from low-register pianissimo to upper-register fortissimo with not a hint of a crack, as if anybody could do it. Stumpf matched fully in tone, expression and smoothness, and his parallel passages with Palmer fully justified Mandyczewski’s quip that the instruments seem in love with each other. Walsh’s ardent yet not overpowering keyboard success belied the notorious difficulty of Brahms’s piano writing, and tended the garden in which the lovers could tryst.